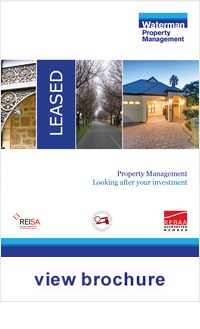 We understand what it means to be an investment property owner in Adelaide. To maximise your return you need a professional specialist property manager who understands your portfolio and knows what is important to you. You will be entrusting us with an asset worth hundreds of thousands of dollars. You need your rent to be paid on time and in full. You want to minimise outlays while maximising your income. We also know Investors realise that the best agent to manage their property is not their local real estate agent rather a specialist property management company that adds value to their investment. That's why they make the switch to Waterman Property Management Adelaide. Maintaining the value of properties in our care whilst maximising returns for our owners is our mission. Adelaide Property Management specialists, Talk to us obligation free today.